Time and Tender Loving Care are necessary to ensure you’ll enjoy your beautiful new space for years to come. Typically a newly painted area won't be painted again for 5-10 years so you'll want to ensure your space is painted with time and TLC for absolute quality. 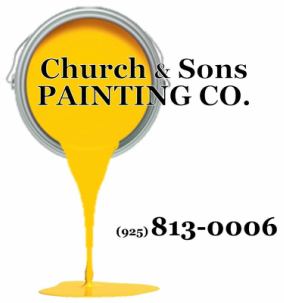 Church & Sons Painting Co. delivers a promise of high quality work with attention to precise detail ensuring your finish is satin smooth and edging razor sharp! In addition we only use high quality paints, brushes, rollers and materials. You’ll get quality workmanship plus quality products. And that equals long lasting results!